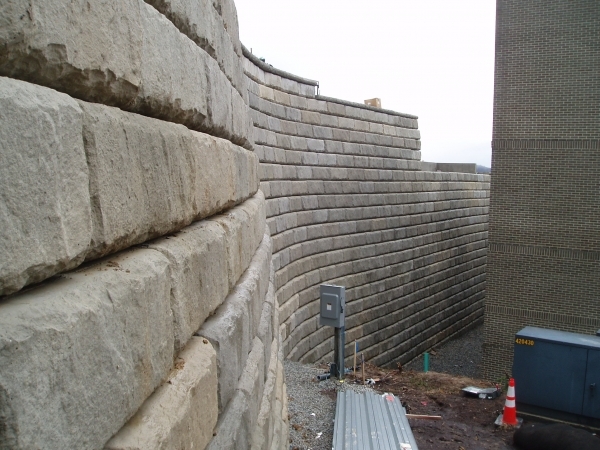 Morris Knowles was hired by Shallenberger Construction to design a 33 foot high Redi-Rock retaining wall at the Nemacolin Woodlands Resort. The wall supports the new main entrance roadway into the resort and will support a new bridge to the 3rd level of the existing parking garage. The project had a quick turnaround time and Morris Knowles only had one week to design the wall and prepare seven drawings.